I think sometimes when people hear you’re trying something new with your diet they tend to think you’re trying to be trendy or you’re going through a fad. Let’s be serious for a moment: nothing stresses me out more than thinking about food. I have deep seeded issues with food, calories and weight. You can read more about that here and here. 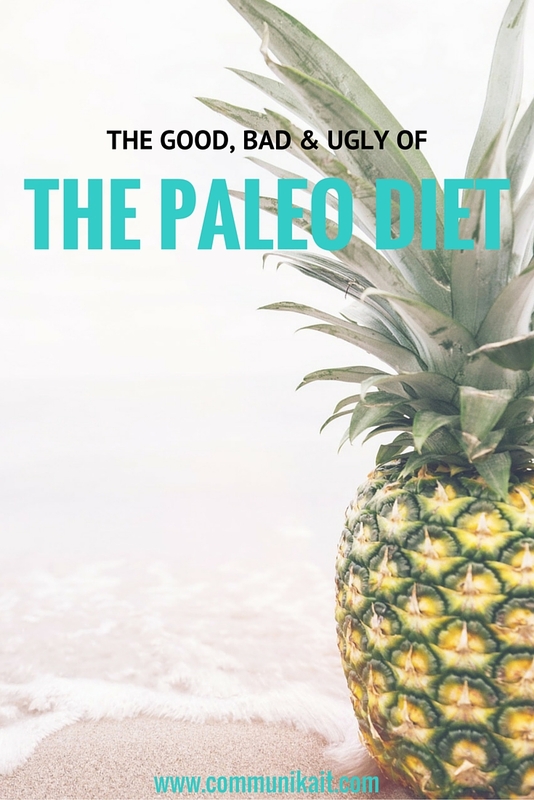 So I’ll come right out and say it..that’s the ugly part of paleo, at least for me. I hate to admit that it took sitting down with my therapist and a nutritionist to really settle my nerves and anxieties about food, planning and prep. I could sit here and talk to you FOREVER about what led me to a new way of eating, the anxieties over food that nearly broke me and much, much more…but that’s not any fun, trust me. The reality is that my life centers around how much food I put into my body. If I was so focused on it, why not ensure it was good for me, right? Right. So, let’s get started. Let me first preface this post by saying that YES, I understand it is near impossible to eat a diet that is completely parallel with how our ancestors ate. I did not create the name for this lifestyle of eating, but I am committed to doing what is best for my body, which is what led me here. Ultimately, our goal is to follow the 80/100 rule, which means 100% paleo, 80% of the time. The extra 20% gives us a little wiggle room on the weekends, but the more and more we integrate fresh, healthy and organic foods, the less we are craving other stuff. This is, of course, just a small sampling but meals have included: Dijon Rosemary Porkchops, Sweet Potato Gnocchi, Coconut Shrimp Cakes, Chicken Pecan Lettuce Wrap, Avocado and Spicy Mayo Stuffed Burders and Cauliflower Crust Pizza. The best part? They get the official husband seal of approval, which let me assure you, is not easy to come by! We feel healthier, less bloated and have more energy than ever before. This speaks volumes considering I think we are the only people we know who get up at 4AM to go workout. We also don’t miss sugar anymore — cowabunga! We are snackers. Big snackers. So initially we were like…what the heck do we do? We are hungry! We battled this hard on week one — so hard that I think Dane was beginning to doubt we could actually make this lifestyle work. But we persevered and I’m happy to report we are now LOVING snacking on dates, mango and Paleo Treats (more them tomorrow!). Dane and I also enjoy a good date night every now and again. Read also: imbibing in a cocktail or two. When we first began, we swore off alcohol entirely — we didn’t want it getting in the way of our commitment to a healthier life. Two weeks ago, we enjoyed our first drink in two weeks and we both admitted that we felt like we enjoyed it more because it was more of a treat. We’ve only had 2 drinks each in 4 weeks, so I think that while alcohol is not on the paleo diet, we will continue to allow ourselves a treat every now and again or for special occasions. After all, we need something sustainable and I’m a firm believer in finding a plan that works well for the long haul.